Prior to this week, with three events remaining in the Symetra Tour season, Augusta James of Bath, Ontario was sitting in 14th place on the Volvik Race For The Card, the season-long money list. She was well aware that she needed to have a strong finish to the season if she is to earn one of the ten spots available on the LPGA Tour for 2017 based on that order of merit. Last she year missed out of the top ten after finishing 12th on the money list. By a mere $790. She is doing her best to change the outcome this year, and stepped up accordingly this week. James, a former Canadian Women’s Amateur Champion, responded with a tie for 2nd place (71-71-69) this week at the Murphy USA El Dorado Shootout in Arkansas. It included a very gutsy finish for the standout Canadian as she earned her 7th top ten finish of the 2016 campaign. 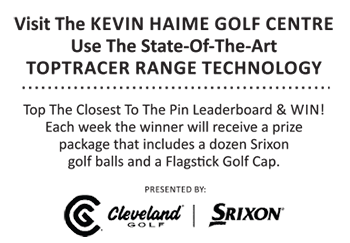 With every position meaning a big difference in dollars, James made birdie on the last two holes on Sunday at the Mystic Creek Golf Club to grab a spot on the leaderboard directly below winner Madelene Sagstram of Sweden. For her efforts James earned $8,257 and inched closer to her goal. She now sits in 13th place on the money list at $60,321 with two big events to play. The tenth place position is currently held by Erica Popson with $64,985. Quebec’s Anne-Catherine Tanguay also had a fine showing in Arkansas. The former Quebec Women’s Amateur Championship tied for 4th place.